Who needs dairy when you can have this? 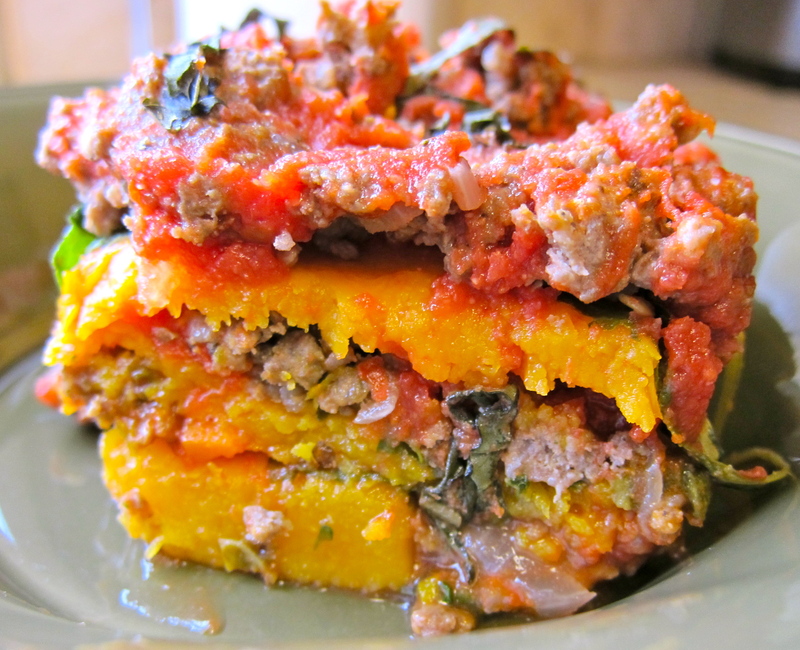 It’s fall and time for comfort food…what better way to indulge than with a Butternut Squash and Spinach Lasagna. I struggle with calling this dish “lasagna” since that dish traditionally defined as a baked dish containing layers of boiled lasagna noodles, and usually cheese, a seasoned sauce of tomatoes, and meat or vegetables…Well, we have a seasoned sauce of tomatoes and loads of meat and vegetables so I guess we are half-way there! This recipe is pretty simple to throw together and can certainly be modified to include dairy by adding layers of ricotta and mozzarella (I’ve made it this way too and it is certainly delicious!). Adapted from this recipe on Health-Bent. Preheat oven to 400ºF. Cut the top and ends of the squash off and peel it. Split it into 1/4′s. What I mean by that is, right where the squash starts to turn bulbous, cut it in 1/2, width-wise. Split those two halves in half, lengthwise. This will make it much easier to cut into planks. Scrape out the seeds. Slice the squash into planks. Roast the squash on a parchment lined baking sheet until tender, about 25 minutes. While the squash is roasting, in a saute pan heat the oil and saute the onions, peppers, mushrooms and garlic. 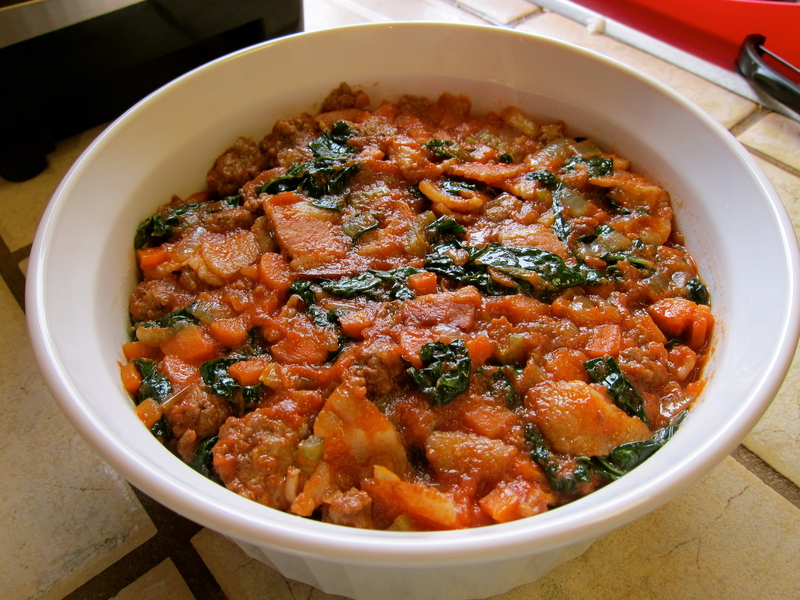 Add the ground meat and Italian seasoning and continue to saute until the meat is browned. Remove from heat and set aside. 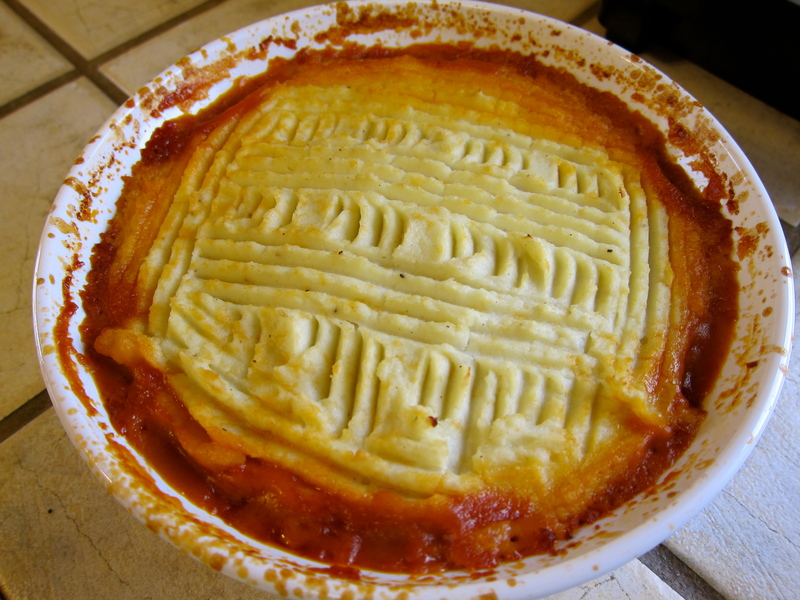 Using a 9×9 oven safe baking dish, put down enough sauce to lightly cover the bottom of the dish. (This keeps the squash from sticking to the pan.) Next add a layer of squash planks and top with a layer of baby spinach, then spoon on the sausage mixture, followed by the sauce. 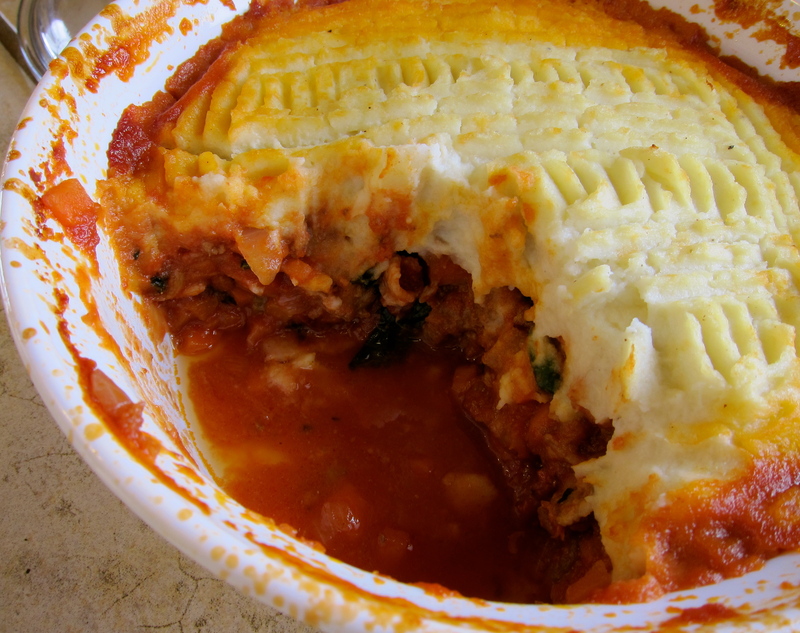 Repeat until all your ingredients are used up (I usually get three layers)…trying to reserve enough sauce to cover the top of the lasagna, sprinkle the fresh basil over the top layer of sauce. 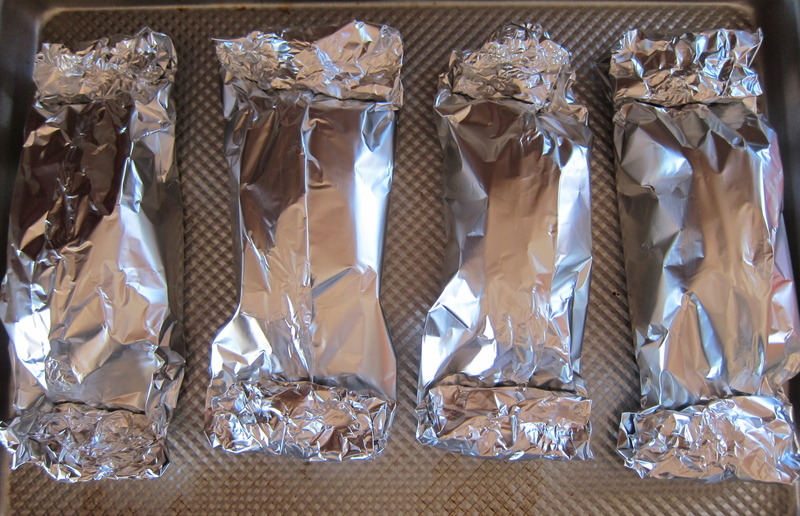 Cover the dish tightly with foil and bake for 45 minutes. Remove the foil and bake for an additional 15 minutes. Look for a bubbly pan with a crispy, browned top. Right out of the oven, the lasagna may by liquidy, let it set for a good half hour before cutting into it, as it will solidify. Serves 6 generously. This is a super simple recipe (adapted from here) that can be prepped ahead of time and stored in the fridge or freezer. 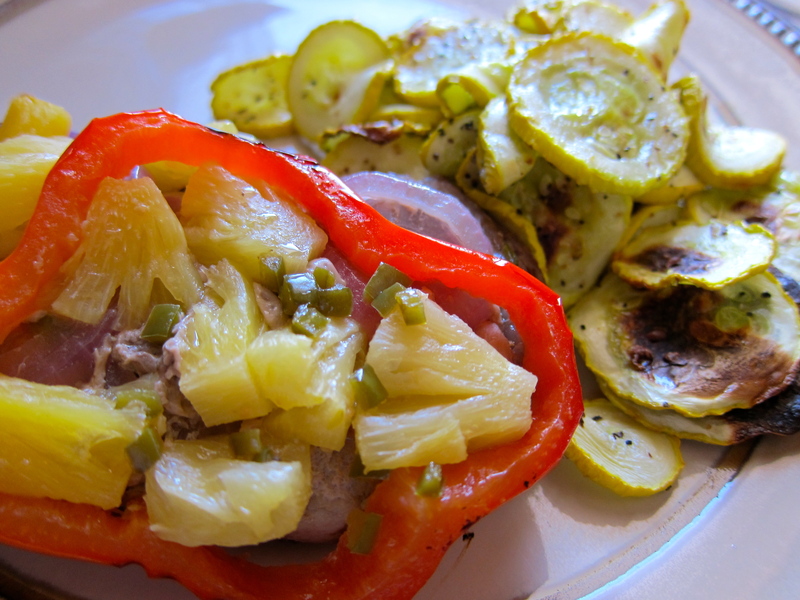 When you are ready to eat just pull them out and pop them on the grill, voila…dinner! I used to make these all the time using a store-bought teriyaki sauce but once I cut sugar and soy from my diet that wasn’t really an option. I finally found a great recipe for a homemade teriyaki sauce (adapted from here) that I substituted pineapple juice for the sugar and coconut aminos for the soy sauce…I have to say, it came out great! So, these will definitely be back on our menu rotation! For each serving, lay a pork chop on a large square of heavy-duty aluminum foil. Sprinkle generously with salt and pepper. 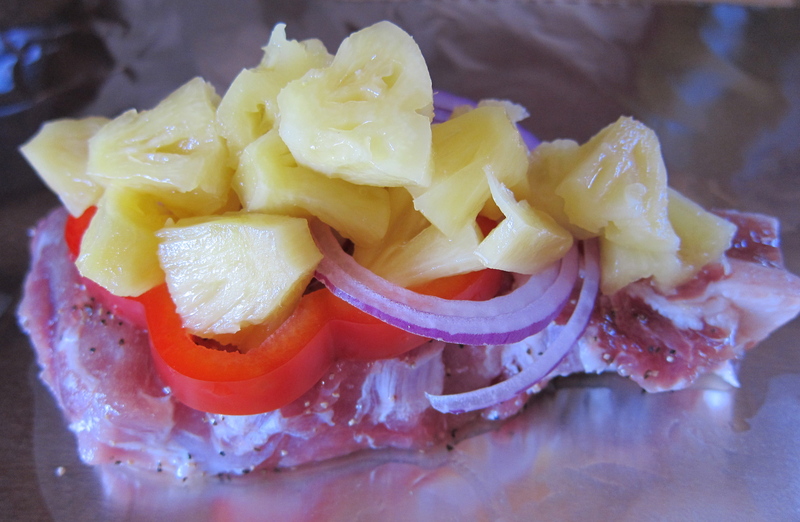 Top each chop with onion, pepper and pineapple chunks. Drizzle with the pineapple-pepper teriyaki sauce and top with butter, ghee or coconut oil. Wrap tightly in the foil, rolling ends to completely seal the package. At this point you can freeze or refrigerate the packets. When ready to eat, place the packets directly on a preheated grill for 15-20 minutes. Check to see if the pork chop is cooked through; re-wrap and cook a little longer, if necessary. Let rest for 5 minutes before serving. In a small saucepan, combine jalapeno, pineapple juice, water, vinegar, coconut aminos and arrowroot. Heat on medium-high and bring to a boil. Cook for 1 minute, stirring constantly, until thickened. Remove from heat and stir in ginger. Preheat broiler. Whisk eggs, water, chili powder, salt, pepper and green chiles in a medium bowl until frothy and set aside. In a 10″ oven safe skillet melt fat over medium heat, add onions, peppers, mushrooms and garlic, cook until vegetables are soft. Add chicken and stir to combine with vegetables. Lower heat to medium-low. Pour egg mixture evenly over chicken and vegetables. Cook the frittata slowly until the eggs are set almost all the way through. 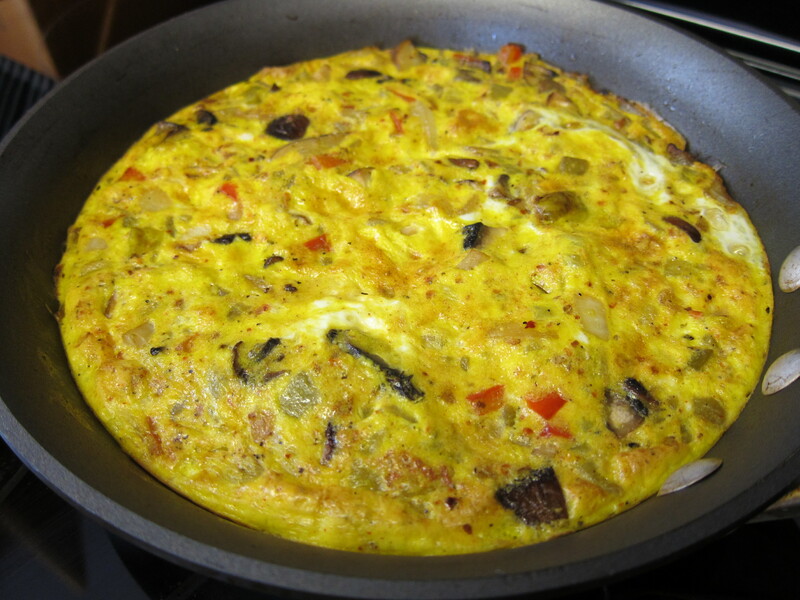 Shake the pan occasionally during cooking to ensure the frittata isn’t sticking to the bottom. 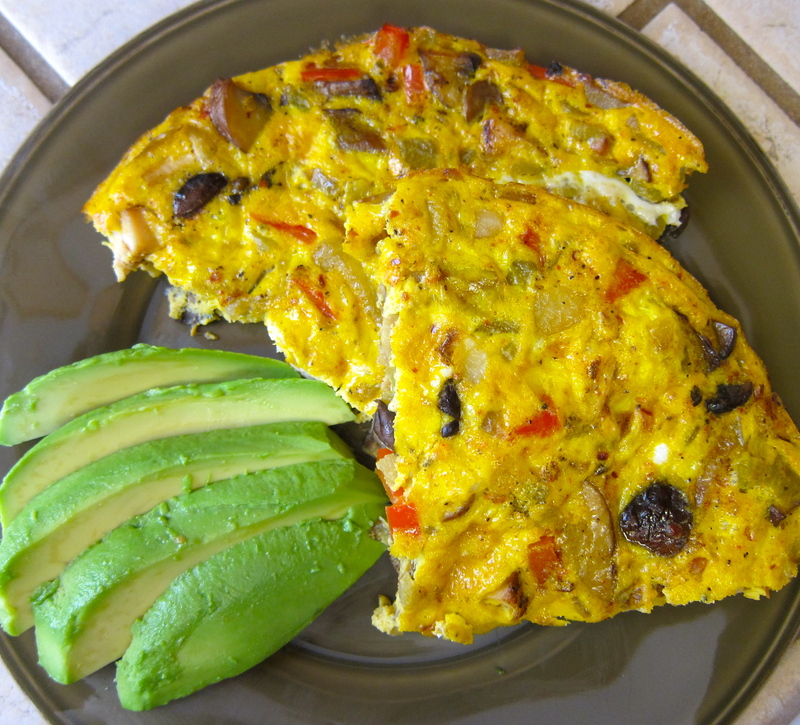 Place the pan under the broiler for 3 – 5 minutes to set the top of the frittata completely. Remove from oven and let rest for 10 minutes before removing from the pan. Slice and serve warm or at room temperature. Garnish with avocado, salsa and chopped cilantro. Turnips are root vegetables that are similar in texture to a white potato so they are a great substitution in most recipes calling for a starchy white potato. A white-fleshed turnip has a white skin with a purple-tinged top. A rutabaga, which is sometimes called a yellow-turnip is actually a relative of the turnip with similar taste and texture to the white fleshed ones. Small, young turnips have a delicate, slightly sweet taste. Fresh turnips are available year-round, with the peak season from October through March. This recipe is an oldie but goodie…it’s a great accompaniment to any roasted or grilled meat, especially burgers or Italian sausage (pictured above). I love the spiciness of chili powder but you could use any spice you like or even just salt and pepper. Preheat oven to 400 degrees F and line a baking sheet with aluminum foil. 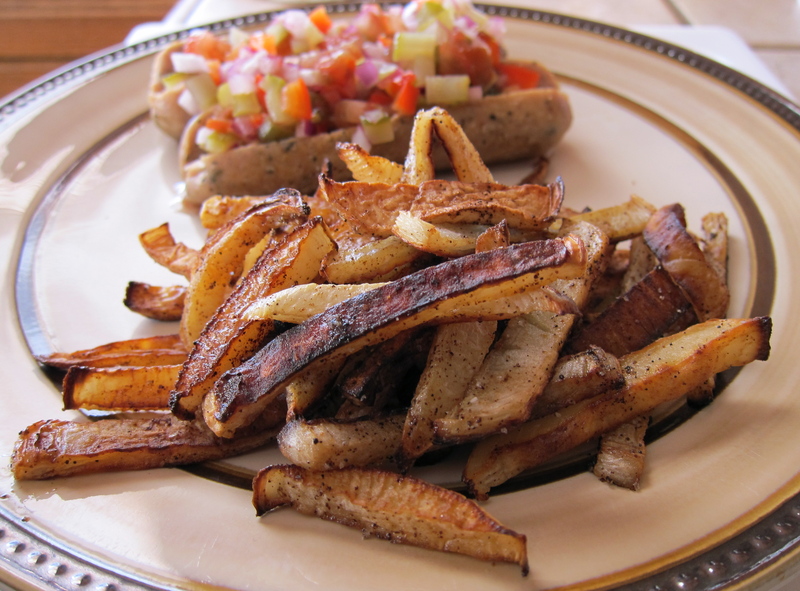 Slice the peeled turnips into strips (like french fries). Toss sliced turnips with coconut oil, chili powder and salt. Place turnips on the prepared baking sheet in a single layer. Bake for 30-40 minutes, turning once halfway through baking, until evenly browned. Serve hot from the oven. This recipe is a fresh and healthy alternative to store-bought pickle relish which is usually loaded with sugar and preservatives. You can adapt it to be a dill pickle relish or add a touch of stevia for a sweet pickle relish…both are super tasty! 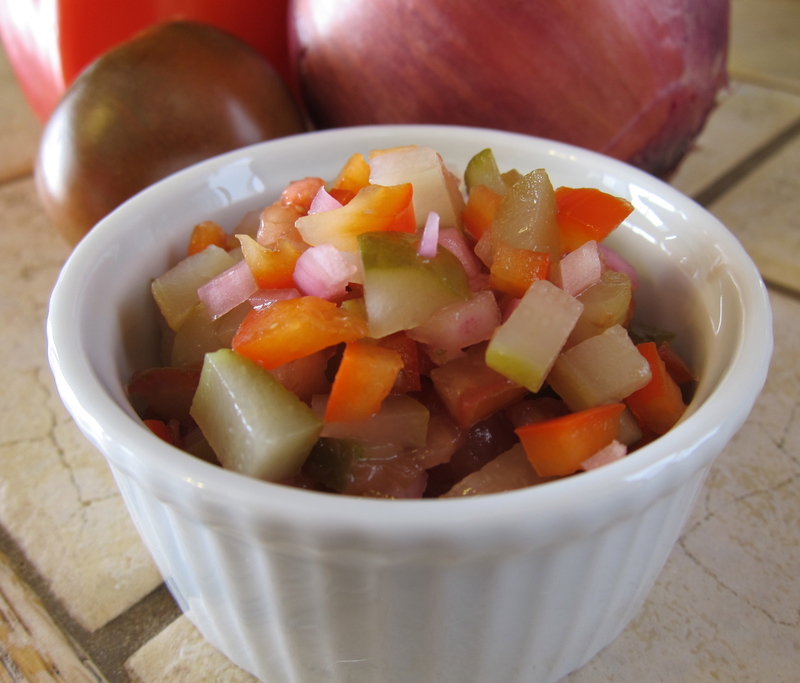 In a small bowl, combine chopped pepper, tomato, onion, pickle, vinegar and salt and mix well. Set aside for at least 20 minutes to let flavors combine. Enjoy on grilled brats and burgers! I rarely eat out…which means I cook A LOT! 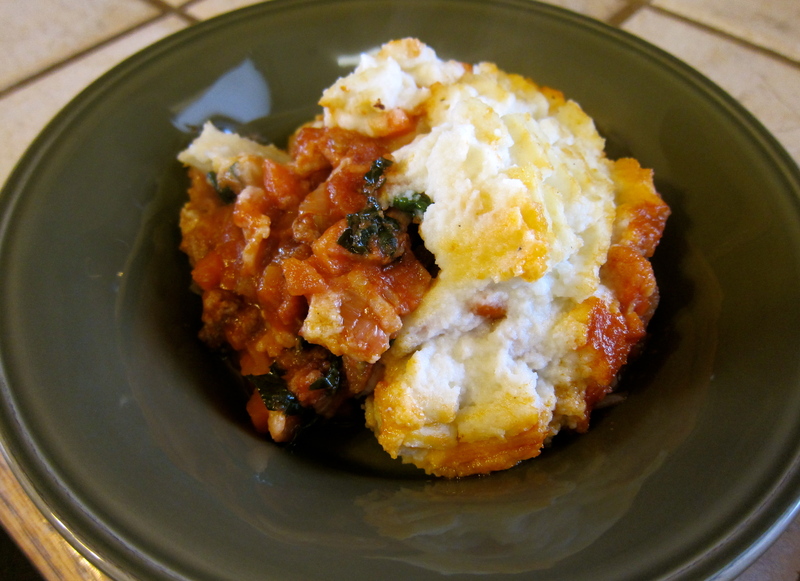 Don’t get me wrong, I love it but sometimes I just don’t have the energy to create a new recipe so I head to the internet for inspiration…these recipes are inspired by two great chefs from the Food Network, Ina Garten and Emeril Lagasse. Both original recipes can be viewed at http://www.foodnetwork.com by clicking on the recipe title, I only tweaked the measurements slightly and of course added some bacon! This was essentially a one pan and one baking sheet meal, easy prep and quick clean-up! Combine the lemon zest, lemon juice, olive oil, garlic, rosemary, thyme, mustard, and salt in a sturdy 1-gallon resealable plastic bag. Add the pork tenderloin and turn to coat with the marinade. Squeeze out the air and seal the bag. Marinate the pork in the refrigerator for at least 3 hours but preferably overnight. Remove the tenderloin from the marinade and discard the marinade but leave the herbs that cling to the meat. Sprinkle the tenderloin generously with salt and pepper. Heat 1 tablespoons coconut oil (or your fat of choice) in a large oven-proof saute pan over medium-high heat. Sear the pork tenderloin on all sides until golden brown. Place the saute pan in the oven and roast the tenderloin for 10 to 15 minutes or until the meat registers 137 degrees F at the thickest part. 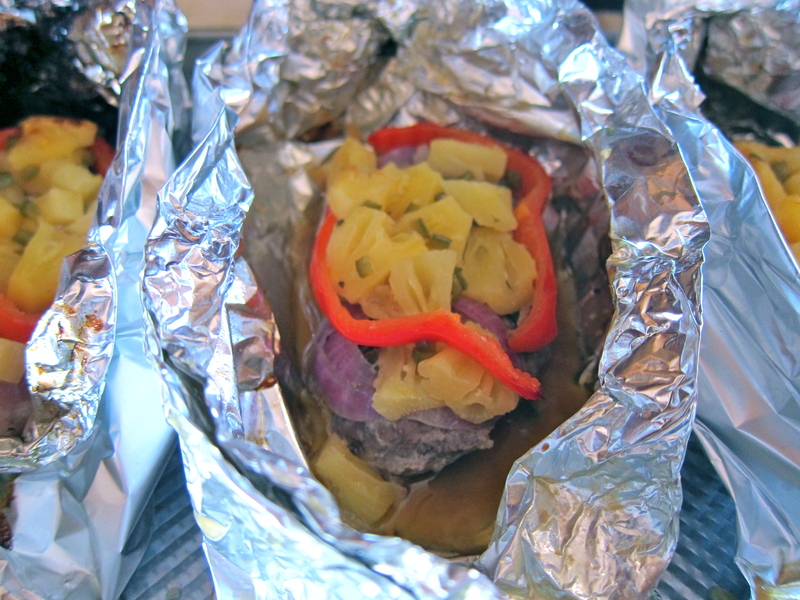 Transfer the tenderloin to a platter and cover tightly with aluminum foil. Allow to rest for 10 minutes. Carve in 1/2-inch-thick diagonal slices. The thickest part of the tenderloin will be quite pink (it’s just fine!) and the thinnest part will be well done. Season with salt and pepper and serve warm, or at room temperature with the juices that collect in the platter. Line a large baking pan with foil or parchment paper. In a large skillet over medium-high heat fry bacon until crisp, remove to paper towels to drain, once cool crumble and set aside. Reserve bacon grease by straining into a bowl and set aside to cool. In a large bowl combine green beans, shallots, garlic and 2 tablespoons of the reserved bacon grease. Add salt and pepper and toss, making sure all the vegetables are coated evenly with the bacon grease and spices. Spread onto the prepared baking sheet. 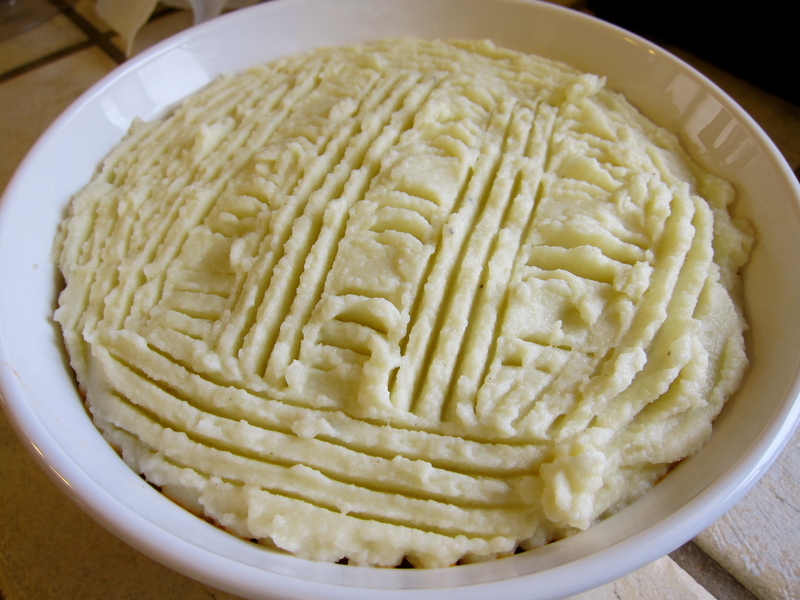 Roast in the oven for 18 – 22 minutes, stirring halfway through baking. The green beans will be slightly caramelized and wrinkly when done, some will be crispy. 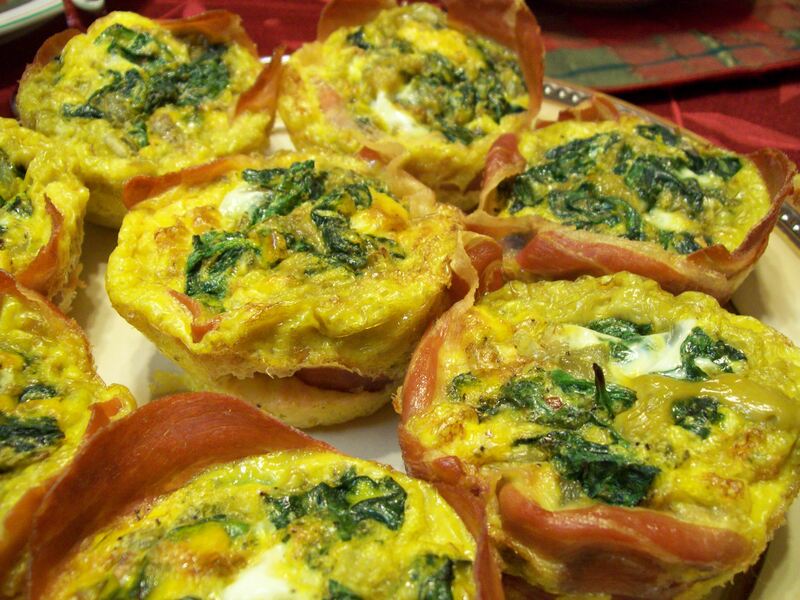 Serve warm and topped with the reserved crumbled bacon. 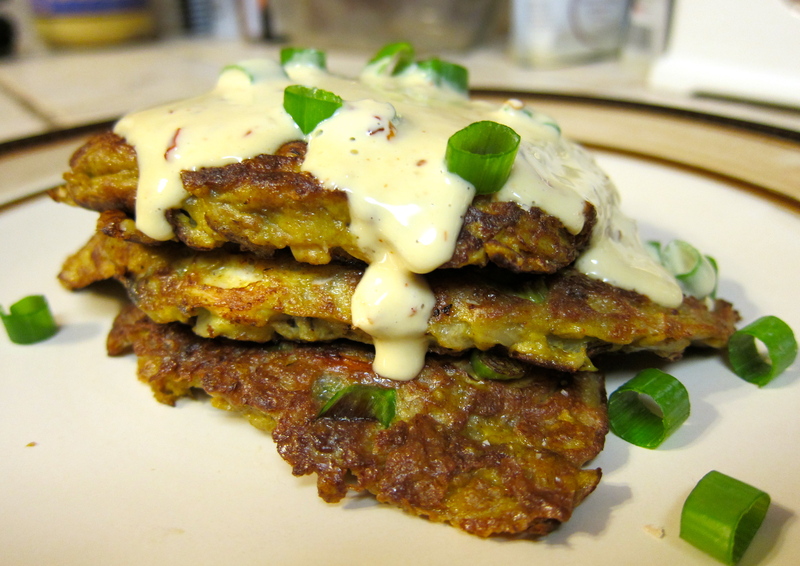 Whole 30, Egg Foo Young and a MUST HAVE Paleo Cookbook! Yep, January 2, 2012 marks the start of my second Whole 30 Program! I finished my first Whole 30 Program on November 2, 2011 and am happy to report that I’ve pretty much stayed on program with the exception of a few Paleo friendly desserts on Christmas and New Year’s and a little bit of heavy cream in my coffee on occasion. I had originally started the Whole 30 to see if eliminating dairy from my diet would help with some of my digestive issues that were still present despite my gluten, grain, legume and refined-sugar free lifestyle. At the 30 day mark and the end of the program I still was not convinced that dairy was the problem so I stayed on program for an additional 30 days…after that I only added back a tablespoon or two of heavy cream on occasion and truthfully I haven’t noticed any change either way. So, why another Whole 30? The most important reason…I feel great. But, I do believe there is always room for improvement. My first time around all I focused on was just the elimination of dairy, stevia and dark chocolate as there wasn’t much more that I was eating that wasn’t on the approved list. I still ate quite a bit of fruit and probably too many nuts, acceptable but most likely not always the most beneficial. This time around I plan on fine tuning and being more mindful of the choices I make…not just eating something because it’s “approved”. As always…I’ll keep you posted! If you’ve been in the Paleo world for any amount of time you’ve probably heard of Melissa “Melicious” Joulwan and have most likely visited her blog The Clothes Make the Girl. 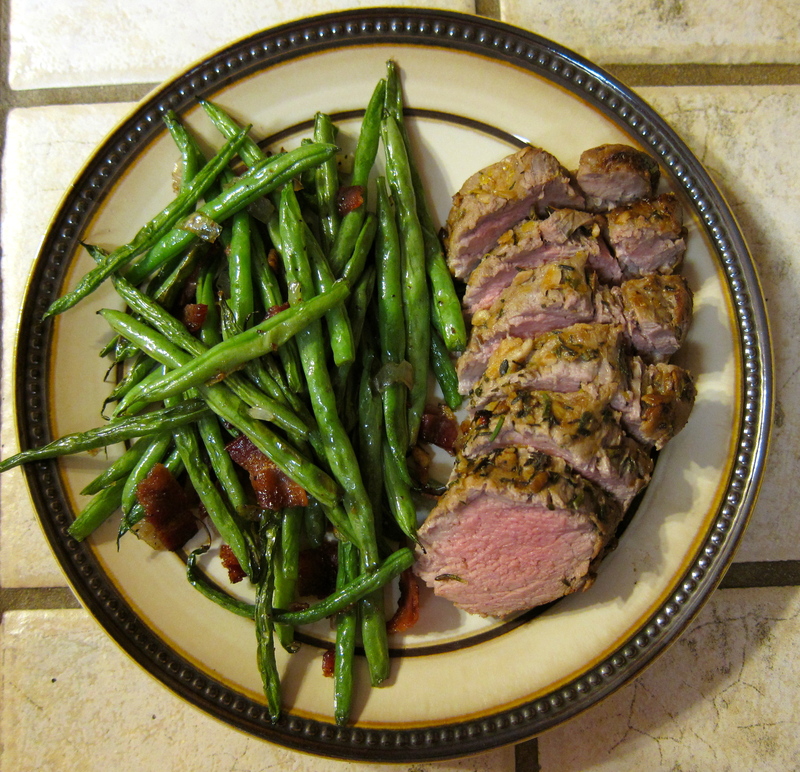 She now has a cookbook, Well Fed: Paleo Recipes For People Who Love To Eat. This cookbook is a must-have for anyone following the Paleo diet and an awesome resource for EVERYONE on the Whole 30 Program as all the recipes (except one) have been Whole 30 approved by Melissa and Dallas Hartwig! Well Fed features over 100 original recipes with tons of variations listed with each…this cookbook could keep you busy all year with all of the options! So, head over to Mel’s blog and take a look around (if you haven’t already), the site is full of resources and fun, informative posts and oh my…the recipes you’ll find there are just a teaser for what you’ll find in the cookbook! As a bonus you can download a 30 page sample of Well Fed on this page. Enjoy!